Oh boy! Look at Taimur Ali Khan. 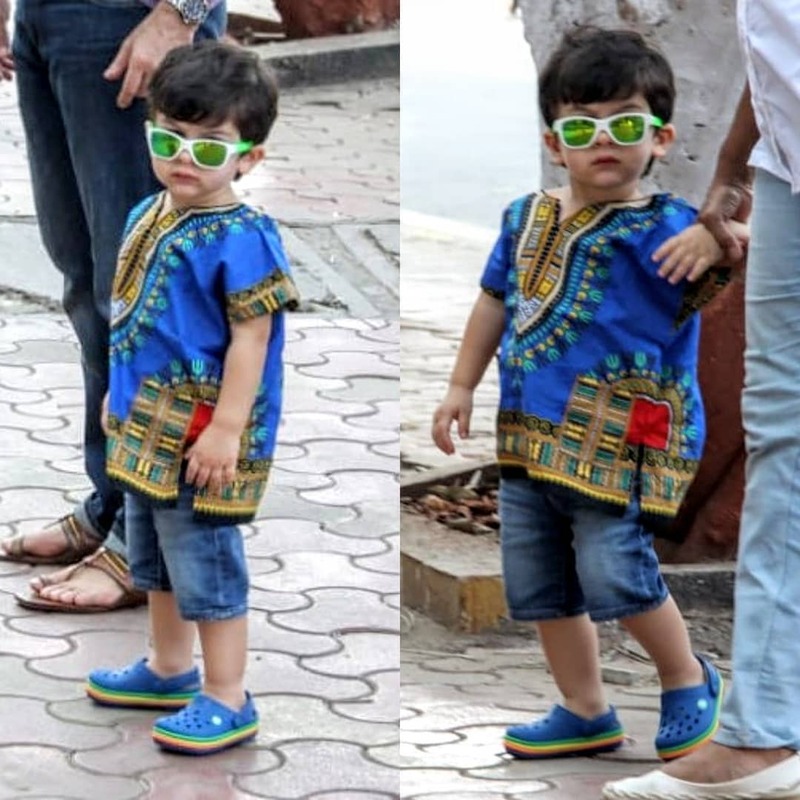 Just look at this cute little munchkin, who was spotted with his parents Saif Ali Khan and Kareena Kapoor Khan in Mumbai on February 6, dressed in a boho-chic tee and shorts. And how can you miss those ultra-swag worthy green shades? As in Katrina Kaif did look super awesome in her Kaala Chashma in the song from her 2016 film Baar Baar Dekho, we have to give it to Taimur because he just stole the show with his neon green chashma. Saif Ali Khan married Kareena Kapoor in 2012 and Taimur, their first child together, was born in 2016.